TOKYO (TR) – The last time two heroes from Japan clashed in a much-anticipated head-to-head match-up in the major leagues, Hideo Nomo plunked Ichiro Suzuki in the back. The Seattle Mariners right-fielder fell to his knees in pain, and Tokyo gasped. Wednesday’s battle, six years later, pitted Ichiro against rookie Daisuke Matsuzaka, who was making his second start of the season for the Boston Red Sox. The game once again left Japan’s capital speechless, but for a different reason: Mariners starting pitcher Felix Hernandez completely dominated, stealing the show with a one-hit shutout. Hernandez took a no-hitter into the eighth inning before allowing a single to right-fielder J.D. Drew, and the brawny right-hander captured a 3-0 victory. The stellar performance undercut the playoff-like atmosphere that Japan had been anticipating ever since the former ace of the Pacific League’s Seibu Lions signed with Boston in the off-season. As a film crew from broadcaster Fuji Television sought comments from the dozen or so customers standing in front of the electronics store’s aisles of HDTVs showing the game live from Fenway Park, Matsuzaka had already departed and Hernandez was cruising through the ninth inning. The showdown with Ichiro was hyped across nearly every sports tabloid throughout the week. But with Tokyo’s workday just getting underway by the first pitch (8:05 a.m. on Thursday), the metropolis was generally subdued. Select commuters within crowded train cars could be seen peering into specially equipped mobile phones to view a digital broadcast of the game. But certainly by mid-morning, by which time Matsuzaka had hit the showers, down 3-0 in the seventh, it was business as usual in the city, as it was for Matsuzaka in shutting down Ichiro; he failed to reach base in three at-bats against his countryman. Matsuzaka, for whom the Red Sox paid $51.1 million for the negotiating rights and an additional $52 million to sign him to a six-year contract, had held Ichiro to a meager .235 batting average (8-for-34, with one home run) in the Pacific League in 1999 and 2000. Instead, it was fellow countryman Kenji Johjima who proved to be one of the Mariners’ top offensive producers. The often overlooked catcher, who batted a very respectable .271 (32-for-118, with 5 home runs) against the Boston starter during the seven years the two matched up in the Pacific League, ripped a Matsuzaka slider into the left-field corner to spark a second-inning rally that gave the Mariners a 1-0 lead. In the sixth, he drilled another Matsuzaka pitch into nearly the same spot for his second two-bagger of the night. Matsuzaka’s first start last week was much more favorable. The 26-year-old sparkled against Kansas City, striking out 10 Royals over 7 innings en route to a 4-1 Boston victory. In the afternoon following the game, which began in the early hours of the morning Tokyo-time, special editions of the Nikkan Sports daily were distributed outside train stations around Tokyo. “10-Strikeout Victory!! Matsuzaka!! !” the headline in bold announced above a blow-up photo of Matsuzaka completing his delivery. Tokyo television stations greeted their morning viewers with non-stop coverage of his sensational debut. Highlights continued to roll on almost every channel throughout the day. 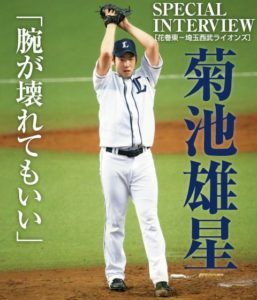 While Matsuzaka’s departure is seen as a positive by most in Japan, it resurrects whispers about the health of Nippon Pro Baseball. Some critics are increasingly viewing NPB as merely a pool of players to be tapped by the major leagues. Many will point to Hideki Matsui’s exit to the New York Yankees in 2003 as the turning point. 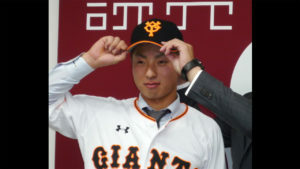 The Yomiuri Giants, Matsui’s former club, whose massive popularity hinges on its ability to market legendary stars like all-time home run king Sadaharu Oh and six-time batting champ Shigeo Nagashima, have suffered sluggish ticket sales and television ratings ever since Matsui’s departure. This season’s opening game with the Yokohama Bay Stars, which was broadcast by Tokyo Broadcasting System on March 30, recorded a rating of slightly above 13 percent — the worst for an evening opener since 1963, the first year that records were kept. Trey Hillman, manager of last year’s champion Hokkaido Nippon Ham Fighters club, acknowledged at a press conference just prior to opening day that the handsome salaries in the major leagues are a draw for players from Japan, but he emphasized that Japan needs to counteract that by instilling a sense of pride in its young players by ceasing to say that the game is played better in the United States. Note: This story originally appeared as a special feature for SI.com on April 13, 2007.